Does your business define, measure and monitor its organisational culture? KDUK is a wholly owned subsidiary of Kyocera Corporation, which has a corporate philosophy founded on the principle of “Doing the Right Thing as a Human Being”. The Kyocera values and purpose are briefly explained at this link: https://www.kyoceradocumentsolutions.co.uk/index/about_us/corporate_social_and.html and are expanded upon in a pocket book that is distributed to every employee on joining the company. The Kyocera philosophy explains in detail the attitudes and behaviours that staff are required to embody, with the intention of creating a specific culture in which the principle of doing the right thing as a human being becomes second nature. The directors of all Kyocera-owned businesses are required to attend philosophy training with their peers at least once per year, and to implement a programme of philosophy training in their own business units. The training must support the Kyocera philosophy, but heads of business units are free to adapt it as required to ensure it is an effective driver of company culture. As a company founded and headquartered in Japan, Kyocera expresses its philosophy in terms that reflect Japanese culture, which is not always a comfortable fit for a European workforce. The way that the philosophy is practised differs, too – for example in Japan it is normal routine for staff to gather together in the morning to read a chapter aloud from the Philosophy pocket book, which could easily alienate UK staff. To ensure that the Kyocera philosophy is implemented in a way that can be easily embraced by the UK workforce, the directors of KDUK invited a team of employees to create a UK culture model based upon it. This work was done a number of years ago and the model has evolved somewhat since that time. The core values were initially distilled down into a culture model referred to as “The 4 Cs”. The original Cs were commitment, co-operation, communication and consciousness. There are now 5Cs, with the addition of courage. The 5Cs are used as a shortform model for the Kyocera philosophy, to define the KDUK company culture. Staff have culture training when they first join the business, and an off-site refresher at least once per year. Some components of the training – in particular a video exploring a selected aspect of the over-arching Kyocera philosophy – are mandated by our parent company and we are required to report on execution. The rest of the training is developed locally to focus on the 5Cs. The culture is very much “front and centre” in the business – the company motto features prominently in reception and the components of the 5Cs culture model have been incorporated into the design of the workspace. It is explicitly referred to in business planning and major decisions as well as being embodied in normal daily business. Personal development reviews evaluate how well the employee understands and embodies the company culture as well as competencies and skills, and a scoring system is used. Areas for improvement are documented and worked into personal development and training plans. All members of staff are free to challenge actions or decisions that are contrary to the culture, regardless of reporting line or seniority; managers are expected to coach team members whose attitudes or behaviour don’t align with the culture. At KDUK, culture is seen as an essential and intrinsic part of everybody’s role and is championed by the director of each division, so there is no dedicated engagement team. Culture training is managed by the HR department alongside other training needs. The company is aware that to maintain a thriving and consistent company culture requires continued investment of focus, time and resources and takes care to do so. However, there is currently no formal process for measuring the culture across the business as a whole. This will, however, be a component of the EFQM (European Federation for Quality Management) system that is currently being implemented. Evidence suggests that corporate culture is not given the prominence it deserves: only 14% of FTSE100 businesses discuss their culture (according to research by Black Sun). However, corporate culture is of critical importance, it affects businesses from top to bottom: what they do, how and why. The necessity for a broad, all-encompassing definition of corporate culture was the focus of a recent collaborative study undertaken by the FRC and partners. In their report (Corporate Culture and the Role of Boards, July 2016), the research indicates that corporate culture is a source of competitive advantage and the foundation of how a company approaches risk. They regard organisational culture to be a key determinant of how businesses approach any social, environmental or ethical issue, and argue that ignoring it can lead to significant financial and non-financial risks. Given that culture impacts so significantly on how a business operates and how it relates to and impacts upon wider society, businesses should expect scrutiny regarding the definition, development and monitoring of their culture. A company’s culture may dictate how its staff is treated, how consumer and other stakeholder interaction is carried out or how a company manages its approach to risk. Culture is crucial to understanding how employees perceive their work and interact with their peers and employers, and to successful employee engagement. However, culture can no longer be regarded as a workforce-specific phenomenon only. Given the abstract nature of ‘culture’ and the difficulty in providing a quantifiable definition, it is often reduced to ‘beliefs and values’. The real measure of the culture that is in place is the accumulated behaviours of people from across the organisation, which jointly not only delivers performance, but also demonstrates embedded attitudes, i.e. 'the way we do things around here'. There is no 'right' or 'wrong' culture for an organisation to adopt; it is the role of its leaders to define what is most appropriate and suitable for their organisation. Importantly, this can and does change over time as its leaders, the organisation itself and its business environment change. The aim of defining a required culture is to support the delivery of the agreed business aims and objectives and, as such, there is no single culture definition that every organisation should adopt. The key is that it must link to what the organisation is trying to achieve, creating clarity for everyone across the business, thereby informing and influencing people's behaviour in carrying out their every-day duties. The better an organisation defines this cultural profile, then manages activity against it, the more likely it is that the culture will in reality become the 'norm'. Through this, it is then more likely to support the delivery of the organisations objectives. Often there is an attempt to embrace this into a single phrase or short soundbite, such as "putting the customer first" or "a winning culture", which, whilst creating a clear focus, usually never describes the full profile of the culture that the leaders actually want for their organisation. If the culture is defined or understood solely by a single item like this, all sorts of anomalies are likely to occur when people interpret it in their own way. It is likely that the 'license to operate' and hence the sustainability of the organisation will be at risk, as such a license increasingly requires a wider range of issues to be addressed. Directors should lead by example and ensure that good standards of behaviour permeate throughout all levels of the organisation. In addition to the values and beliefs articulated by a company at the senior management level, culture also includes the actual policies and processes of a company, and the nature of the interaction between the people who implement the policies (employees) and the people who develop them (owners/managers). Therefore, culture must be embedded within the company’s purpose, strategy, and business model. EY considers corporate culture to have 4 ‘architectures’. In its June 2016 report, Governing culture: practical considerations for the board and its committees, EY conceptualises culture as having four key components: political, social, performance, and organisational. The political component entails the distribution and balance of strategic power within the company. The social is the nature of interaction between all stakeholders. Performance sees how external economic and risk factors influence behaviour. The organisational demonstrates how internal rules, practices, and processes influence attitudes. Other more complete, holistic typologies of organisational culture, which also recognise that the prevailing organisational culture of a company influences every facet of its operations, are offered by - among others - The Institute of Business Ethics, and the Chartered Institute of Independent Auditors. To remain appropriate, effective and fit-for-purpose, corporate culture must be measured. As with definition, monitoring the abstract nature of culture is difficult. A helpful though indirect approach is to consider ‘proxy’ indicators that reflect a variety of functions across the business. For example, monitoring employee turnover, levels of sickness related absenteeism and customer satisfaction scores could illuminate whether there is a potentially unhealthy culture within a company. In addition, instances of whistleblowing or other grievances may indicate problems. Finally, monitoring organisational culture, though difficult, is vital; an unhealthy culture can take years to reverse and ongoing surveillance allows senior management to make early changes if problems are detected. ‘Core values’ are principles that guide all of a company’s actions; highlighting an ultimate set of behaviours and skills. A company’s values lie at the core of its culture. ‘Employee engagement’ is a workplace approach which hopes to produce conditions in which all members of an organisation are able, and feel motivated and incentivised, to give their best each day. Effective employment engagement strategies ensure that the goals and values of organisations and its employees are aligned, leaving staff with an enhanced sense of purpose and wellbeing. An ‘employee voice’ is heard when an organisation sees its people not as the problem, rather as central to the solution, to be involved, listened to, and invited to contribute their experience, expertise and ideas. Employee voice exists where the organisation has put mechanisms in place to enable it to have an ongoing conversation with its staff, in different ways, to ensure every voice is heard (source: Engage for Success). 'Engaging managers' are those who focus their people and give them scope, treat their people as individuals and coach and stretch their people whilst building strong relationships (source: Engage for Success). ‘Internal auditing’ is a catalyst for improving an organisation's governance, risk management and management controls by providing insight and recommendations based on analyses and assessments of data and business processes. ‘Proxy measures’ are indirect measures of the desired outcome which is itself strongly correlated to that outcome. It is commonly used when direct measures of the outcome are unobservable and/or unavailable. 'Direct measures' means that one specific variable is measured without the additional measurement of any intervening variables, or proxy measures. A direct method of measurement removes any interpretive linkage needed between the proxy and the variable of interest. 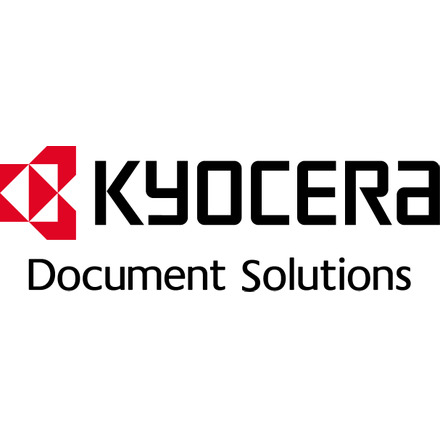 KYOCERA Document Solutions (UK) answered Version 2 of this question. It has since been updated to Version 5. View a side-by-side comparison of the changes to the question here.